See below for 14 top questions to ask BEFORE you take a forklift license training course. Get all of the answers; start your training with the forklift training experts at Wayco. Contact us now to learn more! CONTACT THE EXPERTS AT WAYCO! Here are the top 14 questions to ask before you take a forklift license training course. Get all of the answers that you need about forklift training and the related certification and licensing. 1. WHAT DO I NEED TO ASK WHEN INQUIRING ABOUT FORKLIFT TRAINING? There is a lot to think about, when looking for the best forklift training. Asking about pricing is a a good idea, but it is more important to know what is included in that price. Remember to ask how much training you will receive. A forklift license is not just a piece of plastic; it is knowledge taught by certified teacher and the correct skills that will ensure the safety of a forklift you drive. he professional forklift instructor needs to know that you have learned and absorbed the required material and can put it to practical use. If you need to retest if you failed at a later date find out if there is an additional cost. 2. WHAT SHOULD BE COVERED IN THE FORKLIFT TRAINING COURSE? Forklift training courses are designed by CSA Standard B335-15 – The CSA Safety Standard for Lift Trucks (B335-15) identifies the practical skill, knowledge, and evaluation requirements needed by a lift truck operator. 3. WHY DO I NEED TRAINING TO OPERATE A FORKLIFT? Even if forklift driving is a very small part of your job, you will need forklift training. Occupational Safety & Health regulations across Canada requires that all workers be trained and certified before driving a forklift. You not only learn the safe operation of a forklift, but you learn about other safety topics such as hazards, pedestrian traffic, surface conditions, and load stability, loading and unloading in the workplace. This knowledge will help you reduce immediate danger to yourself and any other employees working in the area. Operator error is the leading cause of workplace equipment accidents, even when an incident does not cause injury, it can still mean costly damage to lift trucks, buildings and productivity. 4. DO I NEED A VALID CAR DRIVERS LICENSE TO BECOME A FORKLIFT DRIVER? Driving a forklift is very different from driving a car or truck. A car license is not needed if the forklift is operated inside the warehouse or factory. If you wish to drive the forklift on a public highway, then both you and the vehicle would need to comply to the road traffic laws. However, the forklift operator must be certified to use a forklift in the facility. 5. HOW LONG DOES IT TAKE TO GET CERTIFIED TO DRIVE A FORKLIFT? The duration of training will depend on the complexity and comprehensiveness of the type of forklift you are wanting to get certified on. The most common type of a lift truck is a counterbalance forklift which takes 4 to 8 hours of training. But if you want to drive a rough terrain forklift, the training time tends to be lengthier. The forklift theory part can take anywhere from 2.5 hours and up depending on the group size and learning pace. The length of time for the practical portion of forklift training will depend on whether the operators have any previous experience and which type of forklift they are training on. 6. DO FORKLIFT CERTIFICATIONS EXPIRE? One can only Imagine some of the bad habits drivers pick up, therefore every 3 years OHSA regulations require a forklift renewal card. There are other ways the forklift driver might require certification renewal: if the forklift is involved in an accident, if you are assigned a different type of forklift and require a new forklift certificate for that type of forklift,and even if your facility is modified it changes safety regulations. Renewing your forklift license reminds forklift operators of the safety procedures which may have slackened over time and ensure that drivers are up to date with the latest advances in technology. 7. HOW DO YOU KNOW WHICH CERTIFICATION IS RIGHT FOR YOU? So now the big question, which certification is right for you? You must first decide what category of lift truck you drive or want to drive. This will determine what type of course you need to attend. It will also depend on whether it is factory application, outdoor application, or warehouse stacking applications; but at Wayco, we can help you decide which forklift classification training program you should enrol in. 8. HOW DO YOU BEGIN THE CERTIFICATION PROCESS? Once the classroom lecture is completed, and you have passed the written test and completed the hands on practical driving test, you will be evaluated by a competent forklift trainer. Upon successful completion, you will receive your certification. This forklift certification should be presented when applying for a job or when asked for by your supervisor. Remember that the certification expires every three years. You will need to take refresher training for its renewal. 9. WHAT IS THE DIFFERENCE BETWEEN A LICENSE AND CERTIFICATE? Is there a difference between a forklift certificate and a forklift license? Most people refer to their certificate as their license, however the correct term is certificate as it is a certificate of training. A forklift certificate is awarded to the forklift operator who is competent and capable of operating a forklift safely & understands its function. The certificate looks like a license, but legally there is no such thing. Health and Safety rules require you have adequate training on each type of equipment you use at work. A certificate is only good for a specific type of lift, because not all forklifts are the same. 10. IS MY FORKLIFT CERTIFICATE VALID ANYWHERE? Your forklift certificate is good for 3 years anywhere in Ontario for the particular forklift type of classification during your stay with the company, you were trained, certified and issued with operator certificate. The forklift license you have in your possession is still valid, even if you are leave one company and go to work for another company, however the forklifts you are using must be the same (forklift type and classification) as the one indicated on your license. It is important to remember though that different employers may have their own safety training standards. It may be possible that the new employer has a higher standard than the former employer, or visa versa. 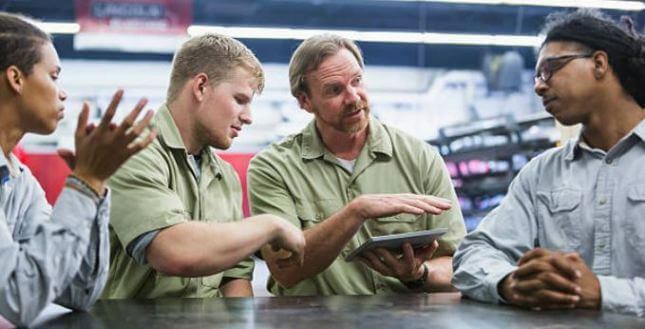 Whatever the situation may be, the new employer should conduct a new session of in-house training, because forklift controls vary depending on the type of truck. That is why it is important that the company familiarize you with the new forklift to help you understand how each control works. You can also read the operator manual to familiarize yourself with the forklift. 11. WHERE CAN I GET ADDITIONAL INFORMATION ABOUT FORKLIFT LAWS? It should come as no surprise that some employers often don’t understand what is required under the standard forklift laws. Ministry of labour health and safety does a good job specifying many safeguards and procedures in the workplace that operate lifting devices and personnel lifts. 12. I HAVE LOST MY LICENSE, CAN I GET ANOTHER? Remember, when you say forklift license, it always refers to certification training or an operator card. To get the certificate replaced, you can request a replacement card from the provider or centre where you got your training. If you are applying for a job, the easiest way is to ask the person who trained you to send a copy of your certificate to your new employer. If you are not successful replacing your license, you will have to retake the training and get re-certified. Usually, it is the employer’s obligation to provide you with this training. 13. DO YOU OFFER JOB ASSISTANCE? Did you know that forklift operators are in demand? Wayco provides a job page on our website to help all certified forklift operator trainees to get a head start on looking for a forklift job opportunities. 14. HOW CAN I REGISTER FOR THE COURSE? To register for a course, simply fill out the registration form below, give us a call 519-748-5440, or come and talk with us in person at 30 Adam Ferrie Place, Kitchener Ontario, N2E 2A9. We will help you choose the right training course, register your company, or register the operator. Take a forklift training course that is right for you!